Spare a thought for many freelancers and self-employed at Christmas. A good friend of mine, whose entire career has been spent in self-employment, has always been unfailingly curmudgeonly at this time of year. I had never understood his loathing of Christmas. Sure, there are numerous annoyances (which do seem to accumulate as one gets older), but on the whole I always liked the idea of an extended and shared holiday season—a chance to catch up with friends, drink too much, party, read, sleep, the last of these probably being its greatest boon. What is not to like? Well, for a lot of freelancers, as I’m beginning to learn, plenty. The biggest problem is that income dries up. 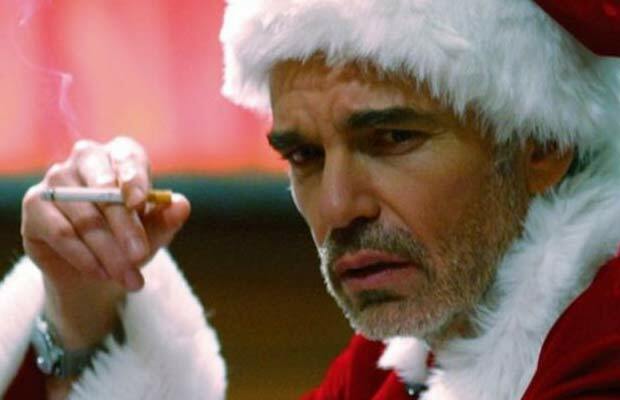 Of course this doesn’t happen to all freelancers—it’s a good time of year to be a freelance Father Christmas, for example, so that’s an idea for a future revenue stream (but only if I could do it in the style of Billy Bob Thornton in Terry Zwigoff’s fine festive movie, Bad Santa). But for a lot of us, from about the middle of December until the first week of January, work becomes at best a trickle. Companies are more focused on planning the office party and the festive shutdown than they are on contracting writers, designers, developers and artists (note to self: freelance party planning as a possible business idea). Certainly the self-employed plumber stands a chance of landing a lucrative festive job as somewhere a boiler gives up the ghost on Christmas Eve, but the self-employed private tutor is holding out little hope that anyone will be making an urgent request for an A-level history lesson on Boxing Day (another note to self: HND in plumbing as idea for 2015?). So the days pass without any money coming in—but a lot of it going out. That’s one of the biggest downsides to freelancing: the salaried employee not only gets to take guilt-free holiday, but is even paid to do so; for the freelancer, however, time off work is time not earning money, and when that time is spent drinking Buck’s Fizz, eating Quality Street and buying novelty Christmas socks as gifts then it involves spending the money that is not being earned. So what used to be the good things about the festive season—puffing on cigars and drinking lots of whisky being highlights—now turn out to be not so great after all; and all the bad things—engineering works on the railways, revellers with reindeer hats throwing up in the street, and, of course, the indescribably horrible experience of having to do a lot of shopping—just seem even worse. Another downside to freelancing is that sickness, like holidays, is not paid for. And at some point during the winter I’m bound to catch a cold. Now is therefore the best time of year to do so, getting it out of the way while I won’t be earning money anyway. So that’s what I’d like for Christmas: a common cold, nothing too serious (I’m not expecting anyone to splash out on it), but quality enough to ensure I won’t be getting another one for many months, and ideal for re-gifting. Glad tidings of great joy indeed! What a thing to wish for! Well I hope you got your wish (just a TINY one indeed!) but I also wish for you a MOST prosperous New Year so that you won’t have to worry about not being paid on holidays and for time off due to sickness.